Soetkin Vanhauwaert (°1987) studied Art History at the University of Leuven, and subsequently completed the Advanced Master in Medieval and Renaissance Studies at the same university. Soetkin is assistant curator of the University Art Collection. 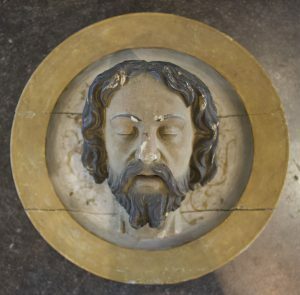 Her ongoing PhD research on the sculpted St John’s Head in the Low Countries is conducted under the supervision of prof. dr. Barbara Baert and dr. Cyriel Stroo (KIK-IRPA). Further, as scientific fellow, Soetkin is part of the team of the Brain-Belspo project “Ornamenta sacra. Iconology of Liturgical Objects”, a research collaboration of the UCL, KU Leuven, and KIK-IRPA Brussels.